If you're a fan of Titanic, you'll love the idea of Belfast's newest hotel. Set just steps from the iconic Titanic Belfast and incorporating the former Harland & Wolff Drawing Offices and Headquarters, the €32m build and restoration absolutely oozes heritage detail. 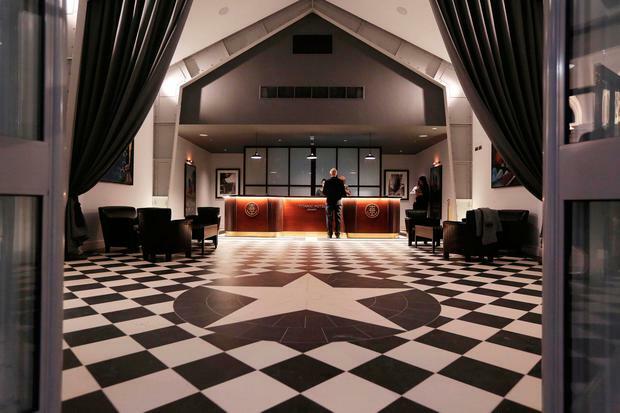 Step beyond the artfully-lit, sandstone facade, and your foot alights on a white star. A porter welcomes you in tweed cap and waistcoat. Flanking reception are the original, barrell-vaulted drawing rooms in which RMS Titanic was designed, complete with scale model (right), White Star Line posters and an island bar with Villeroy and Boch tiles identical to those from the original ship's pool. Beyond that, you'll find a crisply restored wrought-iron staircase, the telephone exchange which received word of the ship's sinking in 1912, and the offices of Thomas Andrews among others, now laid out as 'heritage rooms' for meetings and events. This building was "the heart of the yard", and historic detail, artefacts, prints and photos reflect that. At times, you really do feel like a time traveller. That's part of the problem. Too often, I feel, the building's strength as a heritage project is its weakness as a hotel. Exiting the drawing room and heading for the bedrooms, for instance, I felt the temperature drop. The 'heritage rooms', which could be excellently atmospheric spaces for drinks or afternoon tea, were soullessly lit and empty on a Wednesday night. Walking towards the elevator, I pushed through several heavy doors (as did the porter and his trolley), while the light glared and dipped, revealing a bare emergency exit hallway and a gaudy lift so bright it felt like stepping into headlights. Mood is crucial in hotels; abrupt changes like these break the spell. It's early days, of course (the hotel opened in September), and there's lots to be hopeful about. Breakfast in the Wolff Grill was a tasty spread teeming with local produce. The hotel's mix of Art Deco and nautical themes chimes brilliantly at times - in slick, brass-edged bedroom furniture, for example, and big, porthole-shaped mirrors in bathrooms. But it's gimmicky at others: ropes flop down from tyres around the restaurant lights; faux rivets stud headboards and bedroom doors in a nod to shipping heritage, but feel obvious and naff. Should it dial up the Disney and go all in on the ocean liner theme? Or wrap the heritage in a boutique design reflective of 21st century Beflast? It feels like a little of both, but convinces as neither. 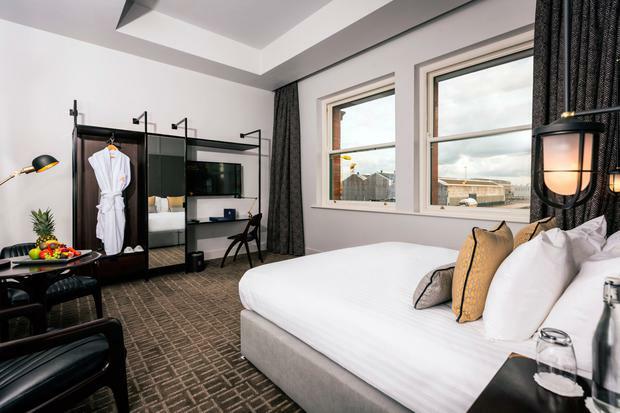 The Titanic Hotel Belfast is an easy win for fans grabbing a bite, drink and a nose around, but to become a beloved Belfast hotel, it needs both heritage and heart. B&B starts from £129/€146 per room (titanicbelfasthotel.com).